The Long Island Marathon began in the 1970s, and for over 40 years participants have been travelling far and wide for this event. The marathon started off as a 26.2 mile run, but soon expanded to a number of runs and races. Now everyone of all ages are involved in the weekend event! Each race or run will award all finishing participants with finisher medals. Top 3 overall awards will be given to overall male, female and wheelchair for the 1 Mile Run, 5K Race, 10K Race, Half Marathon and Full Marathon. In addition, top 3 awards will be given to those who qualify for overall gender and race. This run is free and does not require any sign up in advance. The Kids Fun Run, sponsored by the Ronald McDonald House of Long Island, is for children ages 1 to 11. To make the event even more fun, the Half Marathon and Full Marathon will have music and entertainment for participants and onlookers. Throughout the whole weekend, there will be plenty of fun things to check out. Stop by the Mitchel Athletic Complex Friday, May 1 between 3 pm and 8 pm or May 2 between 10 am and 4 pm. Here you can see where the runners’ routes will lead as well as visit a number of running, wellness and fitness-related exhibits. The Main Event Restaurant and Cradle of Aviation is hosting the Long Island Marathon Weekend Pasta Party, free for all registered participants. Those participants can invite up to three guests for $10. There will be a buffet of an assortment of pasta and salad dishes, Snapple beverages and DJ Entertainment. End the marathon weekend with the Finish Line Festival. The festival is at the end of the 1K Race, Half Marathon and Full Marathon where families and friends can meet with their runners and celebrate. There will be great live music and samples from the sponsors, including juice, beer, energy drinks and snacks. 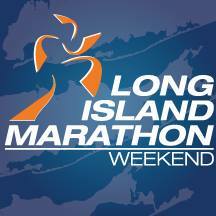 Whether you know someone participating or you are just curious, check out the Long Island Marathon. No need to run, All Island Transportation can get you there. Avoid the crowded parking and call us or make a reservation online. We hope you’ll join us in celebrating this year’s marathon!